Do you want to loosen up those tight mummy shoulders? Do you want to stretch and relax your baby in a fun hour and 15 minute class? Do you want a good chinwag with the other mums over tea afterwards? 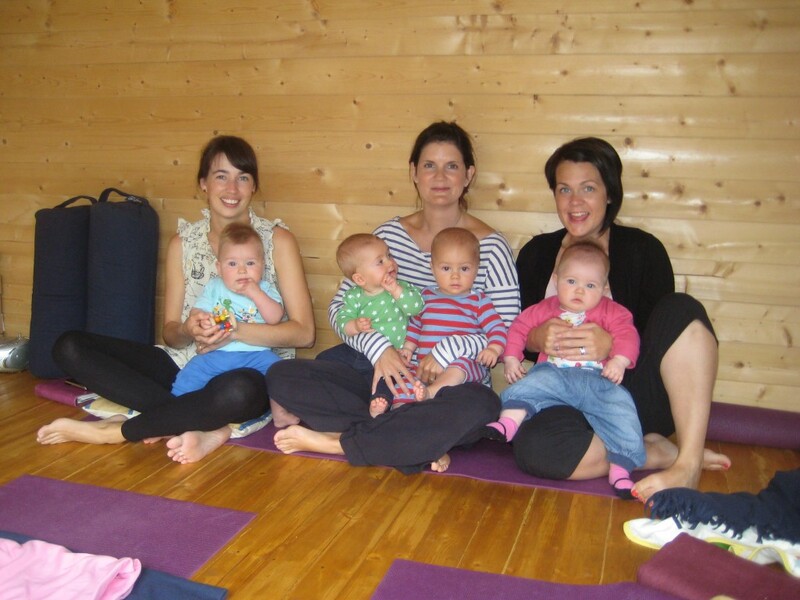 Mother and Baby yoga is a fun and enjoyable way to get to know your baby as well as aid your post-natal recovery. Classes offer playful stimulation for babies through yoga-based exercises. The class also enables the parent or carer to have time to stretch too. The stretches will help muscle tone, offer support for the back and boost energy levels. Fun rhythmic movements to encourage your baby’s development are integral to the class. Feel free to stay after your class for tea and a chat. The classes are designed for babies between 6 weeks of age to (including) those that are able to sit. Movement combined with touch is probably the best stimulation we can offer babies from birth. In baby yoga classes, this stimulation occurs through the mutual involvement of parent and baby at a pace at which the baby can both absorb and integrate it. When adults practise yoga it brings openness within the body and induces a sense of well being. In babies too yoga brings a state of inner contentment and promotes restful sleep. yoga helps to heal any birth trauma. Hannah teaches Mother and Baby yoga at Hove Yoga Studio in Hove, East Sussex. Please see her class schedule for the times of her classes. Please find below the questionnaire you will be asked to fill in before you first class – please feel free to print it so that you can fill it in before coming to your first class. Download the mother and baby questionnaire and registration form.